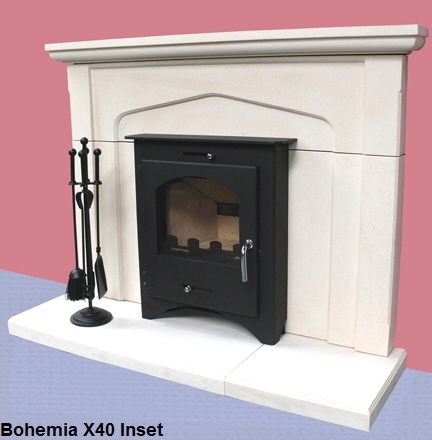 Brand New for this season is the Bohemia X Inset Multi Fuel Stove suitable for use in a 16” x 22” fireplace opening where a tapered chair brick (milner fireback) is in use. 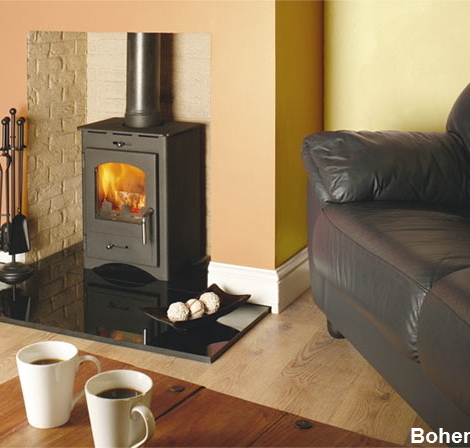 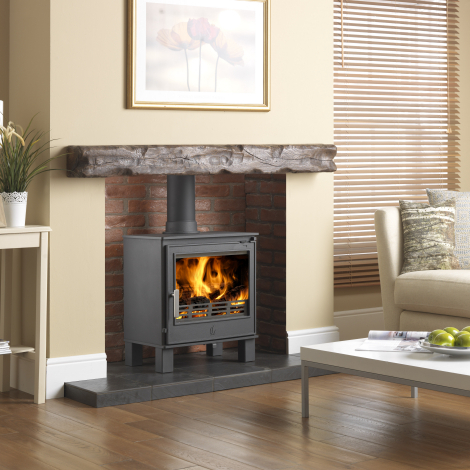 This stove continues the familiar and well known Bohemia family theme by keeping the same look but with its new redesigned fireback can be installed directly into the existing chair brick with or without a flue liner. 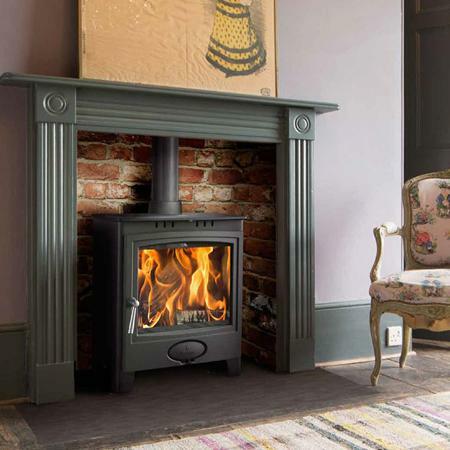 Use of the stove in place of the existing open fire immediately improves the performance and efficiency of the old fireplace. 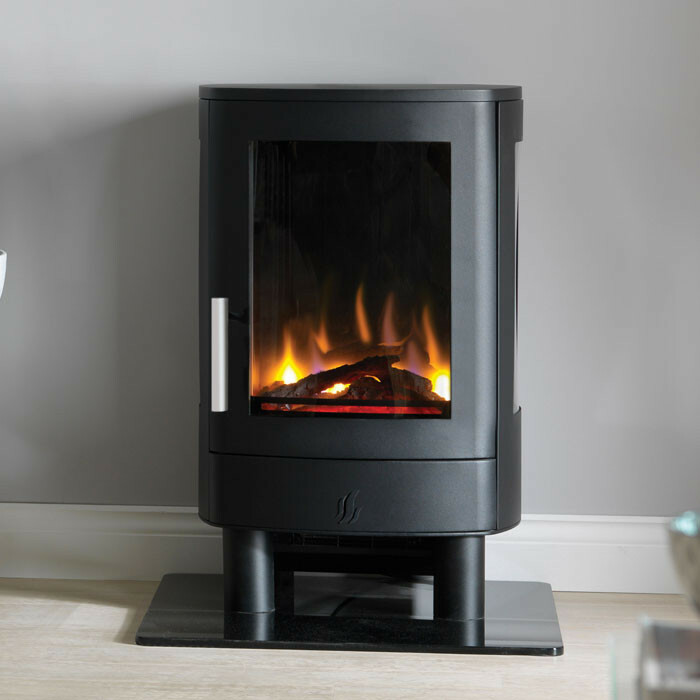 The stove has an efficiency of 79% when burning wood against an open fire of 20-25% achieved through better burning and more complete and efficient combustion of the wood fuel. 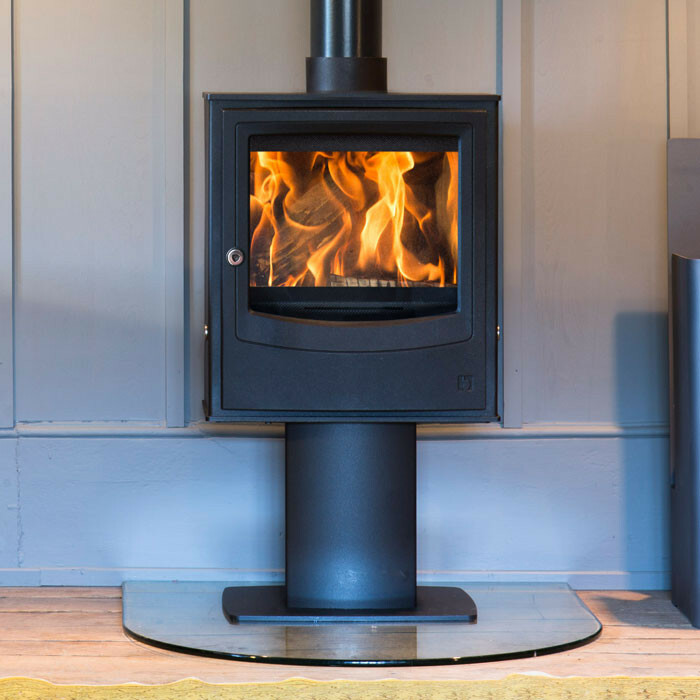 The Bohemia X Inset stove incorporates a large viewing window, secondary and primary air controls, airwash to keep the glass clean, full Skamolex lined fire chamber, twin baffle system, built in tertiary air to burn off any hydrocarbons and is simplicity itself to light. 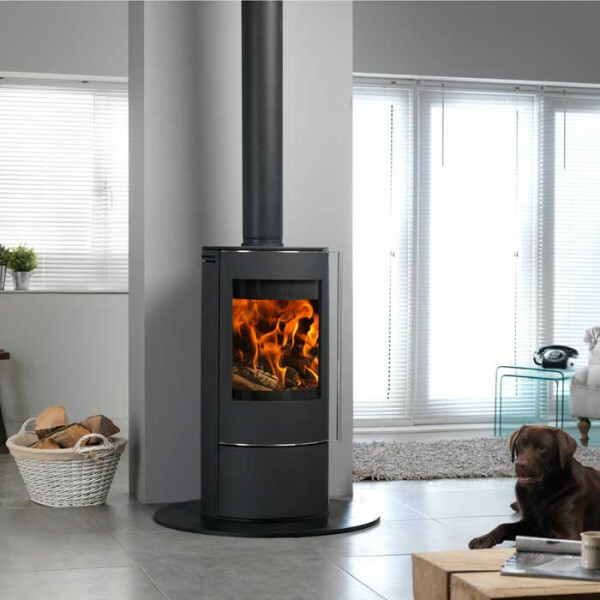 The stove produces both radiant and and useful convection heat by drawing air through the built in side channels and under the top convector plate. 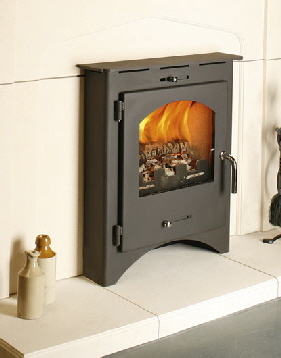 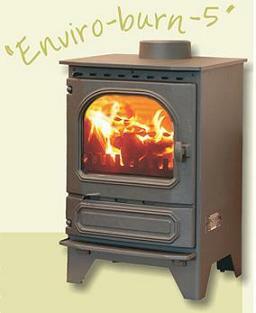 Even though it is an inset stove, a standard sized 300mm log can still be loaded.With its plain look the stove gives a handsome look to any fireplace setting.The stove is tested and approved for wood and smokeless fuel burning and has been recommended to Defra for smoke approval exemption from July 2011. 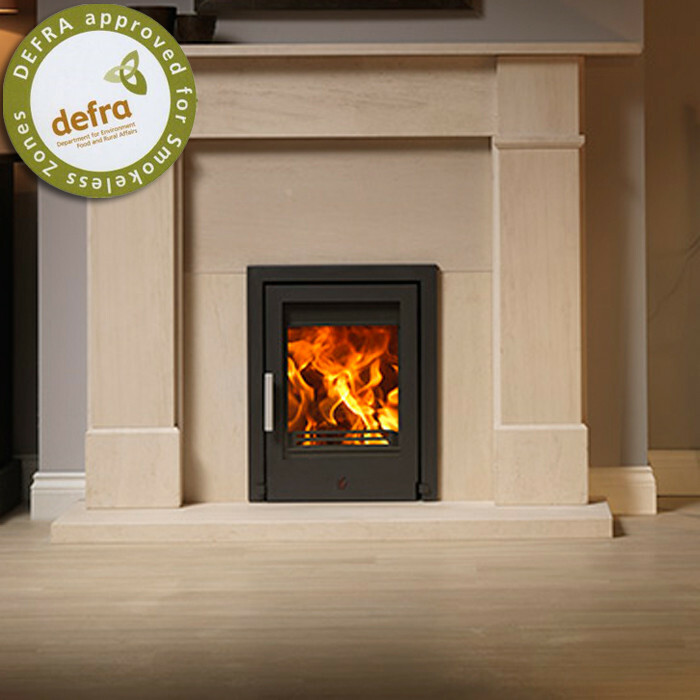 Application to HETAS has also been made.